The digital change that is taking place at companies does not only have an influence on business structures as well as internal processes, but also challenges HR departments. 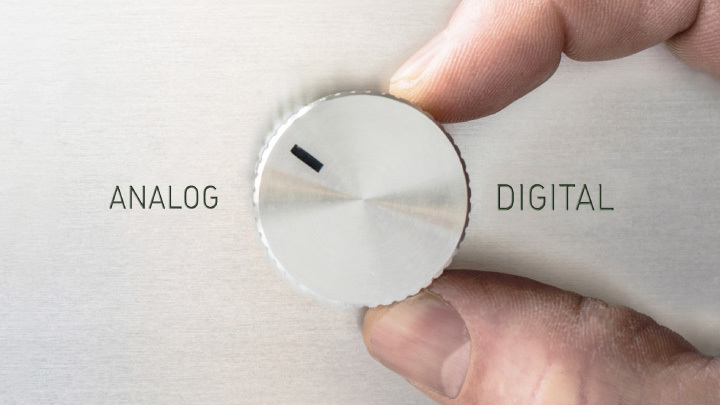 Old business processes simply do not work any longer in a new, digitised economy. Introducing new technologies has turned out to become a clear trend in a rapidly changing business landscape that is trying to reduce costs, accelerate company transformations and achieve added value. Digitisation offers HR managers an opportunity to create added value for their company, the stakeholders as well as the communities. HR needs efficient process management and the right IT tools – such as the Fabasoft Personnel File – to be able to meet the demands of management and staff with regard to high productivity, cost efficiency and short response times. Without the help of digitisation, creating and managing paper files of employees can quickly become a time-wasting task. However, a standardised, central and digital management of personnel data for all employees can quickly and efficiently eliminate this shortcoming. Many HR processes are well suited for automation. A company-wide standardisation of processes and their representation within the system leads to higher process security, resulting in transparency as well as a reduced workload. However, each HR department also keeps files that do not pertain to a particular employee. Systems therefore must not be limited to the digital management of personnel files, but equally need to be able to hold all HR documents in a digital employer file. This also eliminates the co-existence of paper documents and digital files still in use at many companies. Digitising sensitive personnel data and files raises many questions: Where is the data stored? Is it really kept in a revision-safe way? Who exactly has access – and is data protection assured? What is the effort required for implementation and training? Does the solution meet the special requirements of different companies? An elaborate concept of roles and access rights ensures that only authorised persons can access information and documents – and only after having logged on via two factor authentication. Then again, authorised employees can access this data at any time and at any place, even if several people are using a digital file at the same time. Each access to an object is logged: Besides showing changes to the properties, the system also indicates when an object was read, and by whom. In addition, dynamic watermarks can automatically be added to documents. The Fabasoft Personnel File furthermore allows for the revision-safe long term archiving of all personnel files. Consequently, full digitisation of HR processes plays a major role in observing compliance. Migrating employee master data from an existing HR system (e.g. SAP) into the Fabasoft Personnel File is quick and easy. Personnel file documents can be imported via CSV files, scan or drag&drop and be mapped to the appropriate file. Thanks to the intuitive structure of the solution, users quickly find their way directly within the browser and without the need of any training. Efficient reporting and detailed evaluations add to the multiple benefits. Advanced reporting options that also use full-text content dramatically reduce the time required for reporting and allow for effective evaluations of data according to new criteria. This is based on the prerequisite that users are able to classify documents at filing. When it comes to quickly finding documents, semantic full-text search is required: this is where the Mindbreeze search comes into play. Within seconds, users obtain an overview of the documents they need, and can continue to work with them. The time gained by systematically and elaborately digitising processes and personnel files can be used to add value through other, strategic HR tasks. 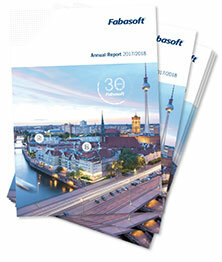 Full details on the Fabasoft Personnel File are available at https://www.fabasoft.com/en/personnel-file.